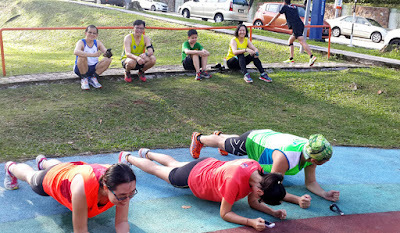 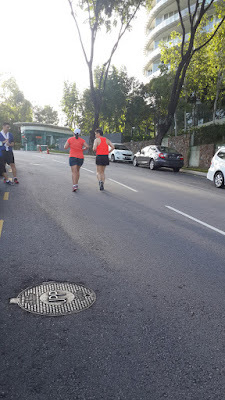 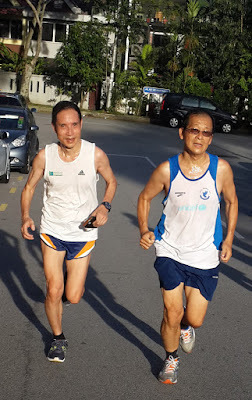 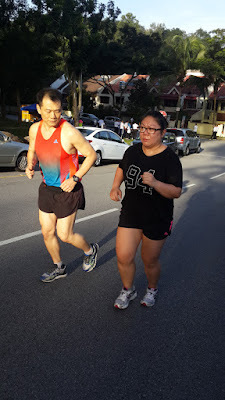 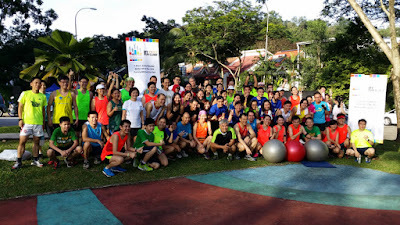 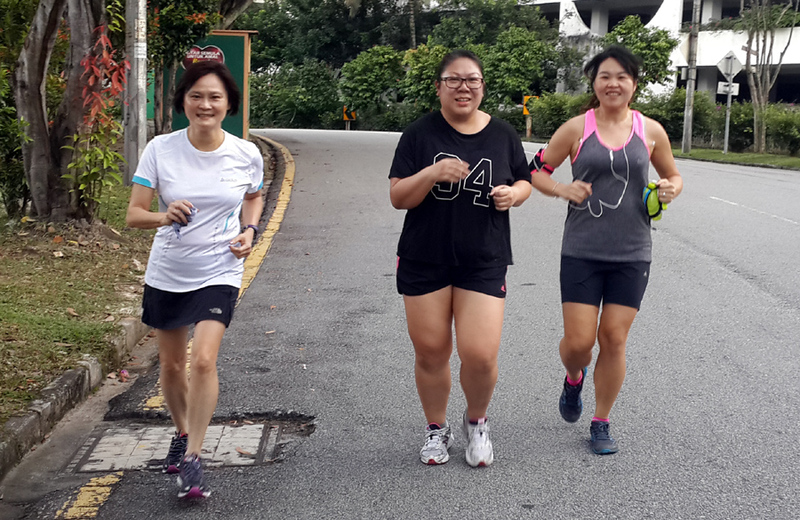 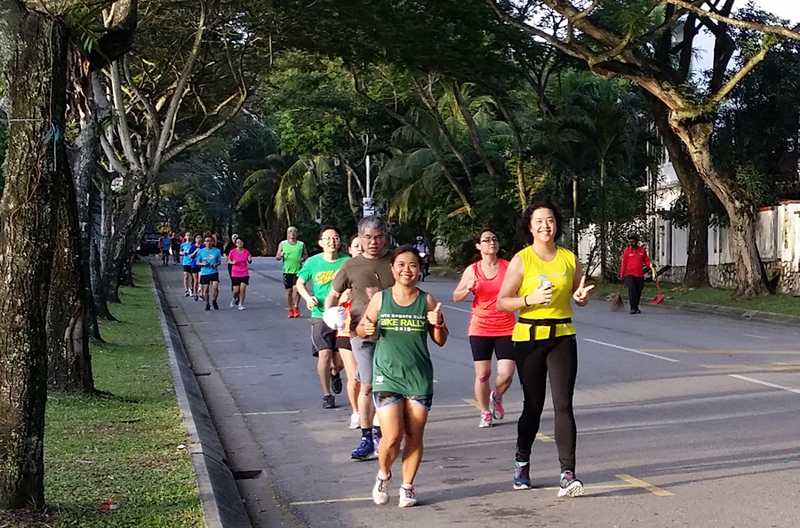 After a long absence because of the haze, our small group met at the Sri Hartamas playground at 7.30am - well the rest of us - Monica and Li Leen were there at 5.30am to run 10km with Jamie Pang's Gold Coast training group. 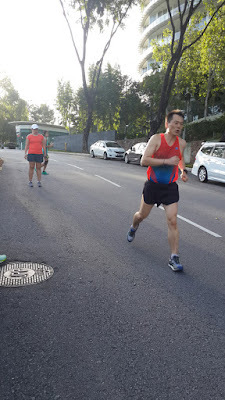 It was a beautiful morning with clear skies. 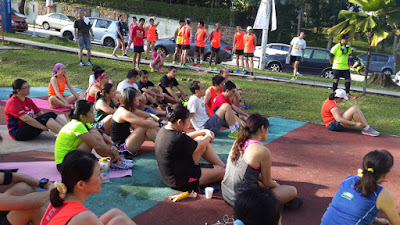 We were here to join the much larger MPIG training clinic. MPIG had coach KK Oon there to give some tips on core and cardio training. 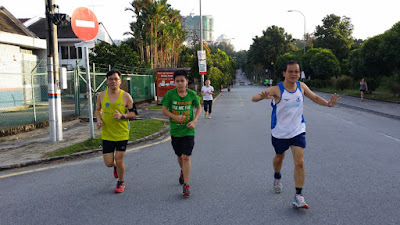 We had an easy 2 loops of a 3km route. Kin Hou, his son and Sunny. KK Oon showing how the abdominal crunch is done. Abdominal exercise for beginners. Strong abs. 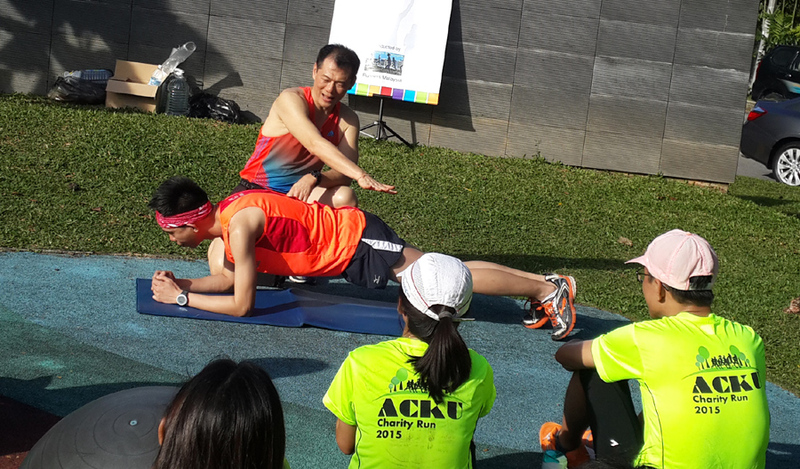 are crucial for strong core muscles, which reduces strain on your back. 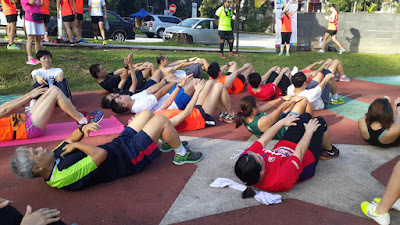 Leg raise for strong abdominals and hip flexors. Strong hip flexors increase walking and running stride and prevents groin injuries. 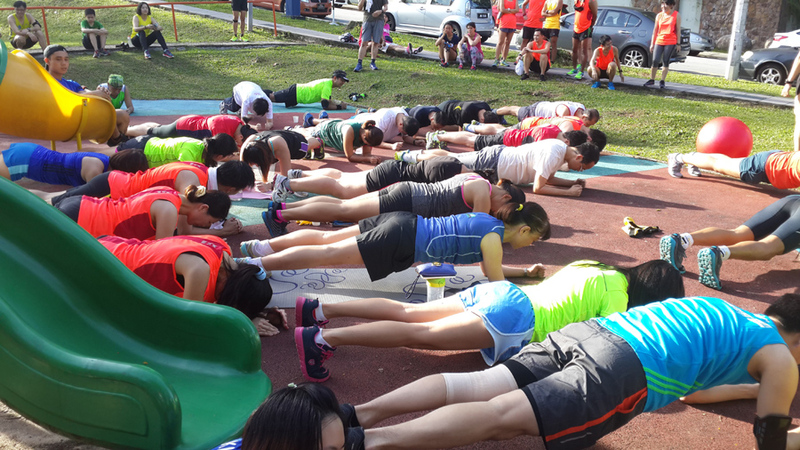 The Plank - try holding this for 30 seconds. Most would be wobbling at the end. 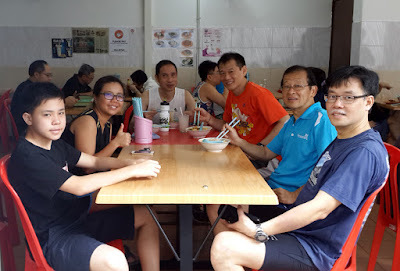 At our favourite coffee shop, Jei Mee, at Sri Hartamas with KK Oon. This place is great for curry laksa and kon lo mee!